You’re a business owner but why so you bother to find WordPress developers? Being a business owner, you know that having a website is one great way to ensure profitability. Moreover, you know that you should not settle for generic themes. Okay, you also realize that some things are learned over time- but that is one luxury you do not have. What should you do? Of course, one of the best ways is to know which job board really caters to WP development and post your listing there. With so many job boards to look online, how would you know that you are getting the best your money can buy? Just like any other job boards out there, you can be bombarded with a lot of choices. For one, there are those who prefer doing tasks part-time; there are those who like to be employed full-time, and there are those who prefer something in between. Also, tasks on your WordPress project may be daunting if only one person would do them. Think about who would do the design, the plugin development (though you can utilize ready-to-use plugins) and practically everything else. There are many takes on being a WordPress developer. It could mean a lot of things to different people. You need to be specific on what you really need. Furthermore, there are those who ask for a higher pay. But this does not mean that they would deliver better quality results. That is why it is best to really check different job boards out there, just to be on the safe side. Job boards come in all shapes and sizes. Some can be free while others are free for job contractors but not to employers. That is just how it is. Here are 10 job boards you might be interested in. Where is the best way to look for WordPress developers but on the the WordPress job board itself! The best part is, it is free. You can really zoom in on jobs related to WordPress, nothing else. Since there is a review board that takes care of the job posts, you can be assured that only postings with enough information on them can be shown. This makes everything much simpler. If you are the one looking for a WP developer, make sure that the information you provide is enough, particularly that of the job description. You don’t even have to worry about the intricacies of posting. It is as easy as A-B-C! However, you have to wait for a day to a day and a half to check your post on the site. There is a job board panel that reviews all the prospect postings before publishing them. If you post for your project, you should leave your contact information so that WP developers who are interested in your post can easily contact you. Created by someone well-versed on WP, this relatively new site focuses on WP job openings. There are actually two ways to get a listing: Free and Paid. You can only list for free for ten days. On the other hand, if you choose the Paid Listing, you would have to pay $10 so your listing to stay for a month. However, you should take note that the Free listing only lasts for 10 days. That said, job listing expiration applies depending on the listing plan you took advantage of. You also get free promotion since every new listing approved also reflects on the social media accounts of WP Hired. Creating job descriptions is easy too. The job site provides you a systematic way of submitting job posts. It is hard to miss putting what the job title, type and category you wish to have. These three are actually necessary during the application for a job listing. Doing WP tweaking online takes on a different level with WPMU Dev. This site doesn’t just post jobs. It also has a page for professional WordPress developers. You just don’t look at their names; you can see their faces and check their biography, portfolio and achievements, among others. This creates a more personal take on whom you can ask for WP development help. 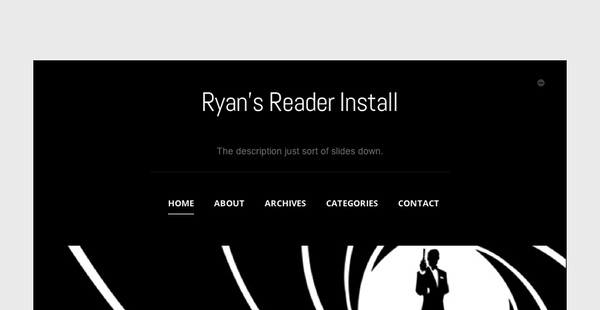 The site is quite navigable so looking for a WP development pro is easy. One click is what you need. There is a point system for developers that you can check out. Plus, you can see how good the developer is by looking at how many points a client has given that certain developer. 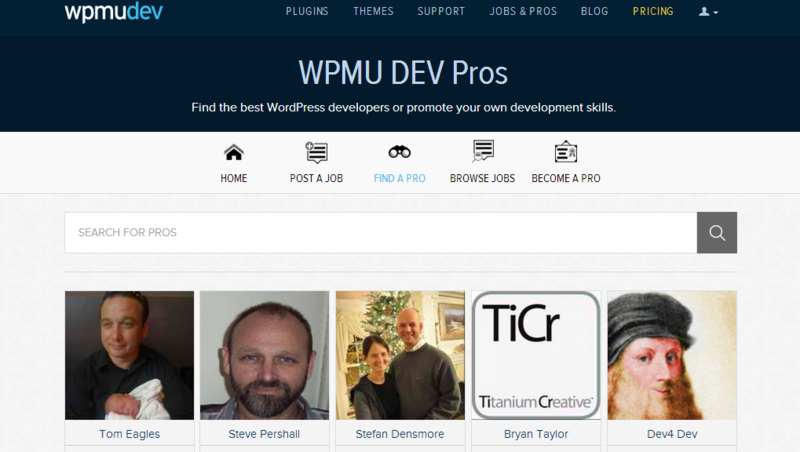 Clicking on the WPMU Dev WordPress professional page gives you all the information you need on a certain WP professional. You can even see the rankings in the WPMU Dev community and client feedback. Do you know the best part? You can contact the developer! But the downside of this site is that you need to become a WPMU Dev member first if you want to post or be showcased on the job site. Although primarily known as a web-related site, Smashing Magazine also has a job board that caters not just to WP developers but to web design and development in general. Since Smashing Magazine is one of the leading web design and development magazines, you can be rest assured that more people would be checking your listing in its Smashing Jobs site. While other job boards only allow you to post for a month, Smashing Jobs allots sixty days for a job posting. The job board gives you two main choices for the job type publication: Freelance ($75), that equates to 1 credit, and Full-time ($225), that equates to 3 credits. However, there are also other packages you can avail of. If you are looking for creative professionals online, another great site to check out is Tuts+ Jobs. This is the job board wing of the popular Tuts+ web magazine. Creating a post in this site is easy-peasy and free. Only a few requirements are needed. As with other job boards, it is a must that you create an easy-to-read job description. For one job listing, you are allowed to edit and view that for a month. Prospect candidates can directly contact you. This site does not offer contact service, though. Editing or removing your job listing is also easy. There are no fees that you need to think of. With over 10 million visitors daily, you can be assured that you can have the perfect candidate in no time. This 11-year old job board does not only focus on WP development posting. There are numerous categories that you can check out. Even though there are millions of job listng on this site, those looking for a project or job can easily filter the list. You have this Simply Post dashboard where you can easily manage all the applicants too. There are two packages you can avail: Simply Post($99), where you can manage up to 30 jobs and Enterprise($199), where you can manage more than 30 applicants. You are assured of better choices since you get a lot of candidates in this site. In addition to this, posting only takes a few minutes. Although you can manage the candidates that have applied, Simply Hired does not have the system which allows you to monitor people who checked on the posting but did not apply for the job. Touted as the largest site for freelance, Freelancer does not offer jobs entirely for WP. However, the site has a specific category for WordPress postings and hiring. Perhaps the reason for this is that Freelancer acknowledges that WordPress is the leading platform for the Internet. All you need is to indicate what you need (job description, skills and budget) and wait for the developers to email you. NO hassle at all. On the other hand, there have been issues with customer support. True, job boards of all sorts are a great help in searching for that perfect candidate. However, you should also take into consideration that job boards can only help you up to a certain degree. To ensure that your project becomes a success all lies in the collaboration. But then again, collaboration is nothing when both of you are not in the same level of understanding. To have that win-win situation, it must begin in stating clearly what you want during the interview process. By knowing you candidate, i.e., asking for a portfolio and the likes, you at least have an inkling of what kind of candidate you have and want. Collaborating with WordPress developers can be both a great and bad experience. Learn the ways on how to negotiate your way around them and be assured to have the worker you want. Have you tried searching for WP development candidates on job boards? What was your experience?